How do you grow your sales effectiveness? Consider the 70-20-10 rule that emerged from 30 years of Centers for Creatives Leadership's(CCL) Lessons of Experience research, which explores how we learn, grow, and change over the course of our careers. The program is designed to comply with the 70/20/10 principle of learning researched by CCL's Michael M. Lombardo and Robert W. Eichinger. The research shows that 70 percent of learning comes from on the job experience and personal problem solving, 20 percent from managerial coaching, observation and feedback, and only 10 percent from formal training. 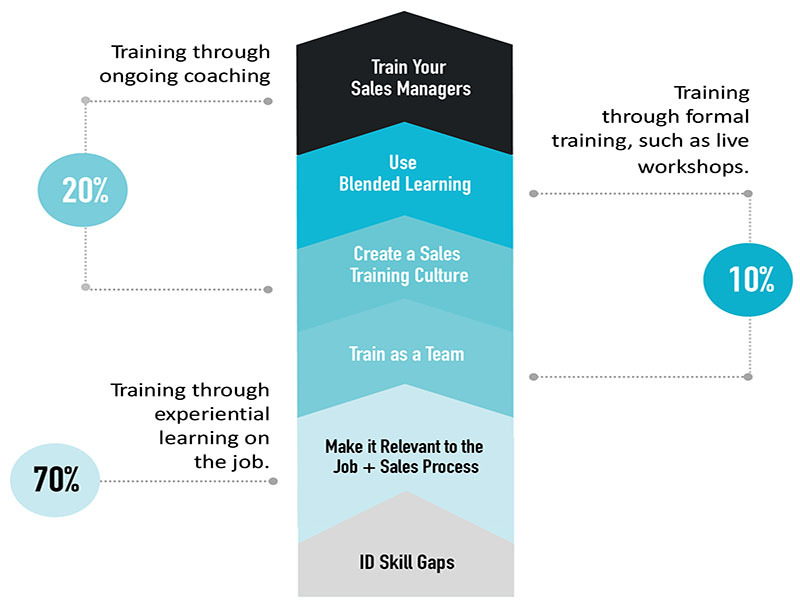 Sales specific diagnostic tools to determine strengths and areas targeted for development. This uses the worldʼs number one sales tools from Objective Management Group. Management consulting to map out crucial sales management strategy including your sales process, KPIs, forecasting model, ideal target market and Strategic Messaging. E-learning. Full on-line sessions supported by video content to keep important reminders in front of the sales team throughout the entire period of engagement. Sales Bullpen is a global partner with SalesStar which gives our clients access to scientifically validated sales programs Learn More.